As we come closer to Rakshabandhan here is the first Jute Rakhi that I designed a few years ago, my love for nature always tugs at my heart to do something with recycled material and it’s a gargantuan task to balance both; the modern and the traditional along with recycled and sustainable material. In today’s world, the acceptance of this eclectic mix of material is more than ever before and yes I have a strong set of patrons who encourage us to do so. Thank you everyone for buying some of our environmentally responsible and sustainable pieces of art because each purchase filters down to every brick in this company and strengthens the belief of each and every soul at Anand Prakash encouraging us to take the “path less trodden”. 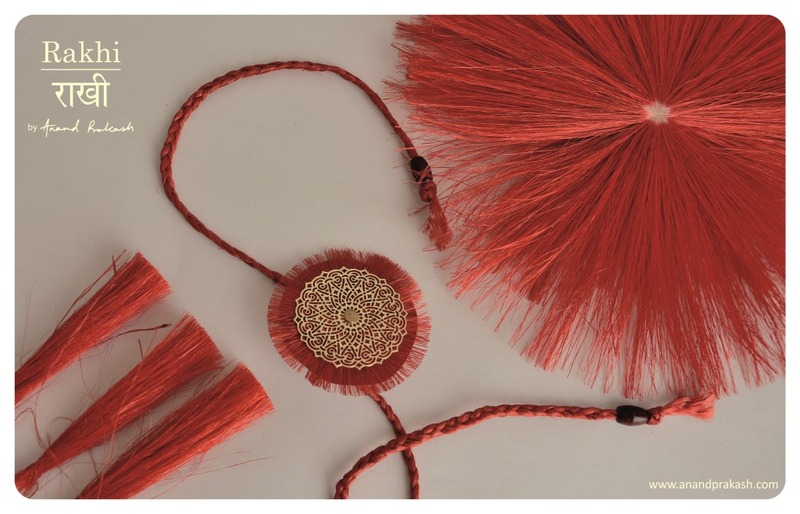 This entry was posted in Whats New and tagged Anand Prakash, Natural Fiber, Rakhi, Rakshabandhan. Bookmark the permalink.